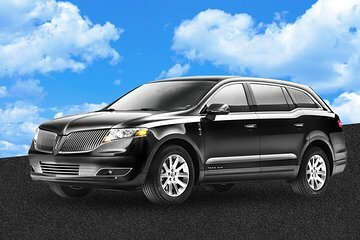 Enjoy a hassle-free arrival in Los Angeles with this private transfer service. Meet your driver at Los Angeles International Airport, and relax on the journey to your hotel or private residence. Transport is in a climate-controlled, private sedan that accommodates up to three passengers. We used Carmel transfers. Had to keep ringing driver,so we could arrange pick up,and where to meet. It took 20 minutes waiting for him to collect us. We were charged an extra 19for kerbside pick up. The information said we can incurr unexpected charges. The driver was very professional his car was lovely,and he had 2 bottles of water for us. It was also good as arriving in a strange city late at night good to be picked up, all be it late. However in view of the experience of having to keep finding where driver was,plus the extra fee,next time I would just hail a cab. On arrival at LAX we spent 40 minutes on the phone trying to find our pick up, eventually we were told the driver had left 15 minutes ago and we were forced to cut our losses and get a taxi.